Have you ever bought a foundation a couple of shades too dark, or a couple of shades too light and thought about ways in which you could suit it to fit your skin tone (using moisturiser, or applying layers of fake tan)? I know I've been there, especially when that expensive foundation you've lusted after is on offer and your shade has sold out. Well we don't need to worry anymore, The Body Shop have brought out Shade Adjusting drops, and these come in two shades; Lightening Drops & Darkening Drops, and retail for £10 each. The Lightening Drops are made to lighten light to medium shade foundations, and also help neutralise any yellow undertones - which makes sense as the lighter the skin tone the more likely they are to have pink undertones. The Darkening Drops are to darken dark to deep foundation shades, which will also stop foundations looking too ashy on the skin. What are my thoughts? If you are any skin shade up to medium then I wouldn't bother with the darkening drops, they will just cause you to look muddy, even with a small amount of product as they are highly pigmented. From the below swatches you can see that it darkened my foundation drastically, which is probably why it was recommended for darker foundations only. However, I do have to rave about the Lightening Drops, from the below swatch you can see that they lighten my foundation (swatched in the middle) evenly and just by a few shades. Perfect for those girls who need to lighten most foundations as they aren't usually made in your shade! Both of these drops don't change the consistency of your foundation, but as you'd probably expect, they will only work with liquid foundation. Overall, if you are trying to lighten or darken a foundation by a couple of shades then these drops will be perfect for you, however, make sure you are only using the drops to lighten/darken foundation shades that The Body Shop recommends. Have you tried these drops? Let me know your thoughts in the comments. I'm a huge fan of sharing the love, and giving appreciation where it's due. The beauty world, YouTube and blogging, is a vast world full of many talented people that sometimes it's hard to find a YouTuber that you feel you can relate to. 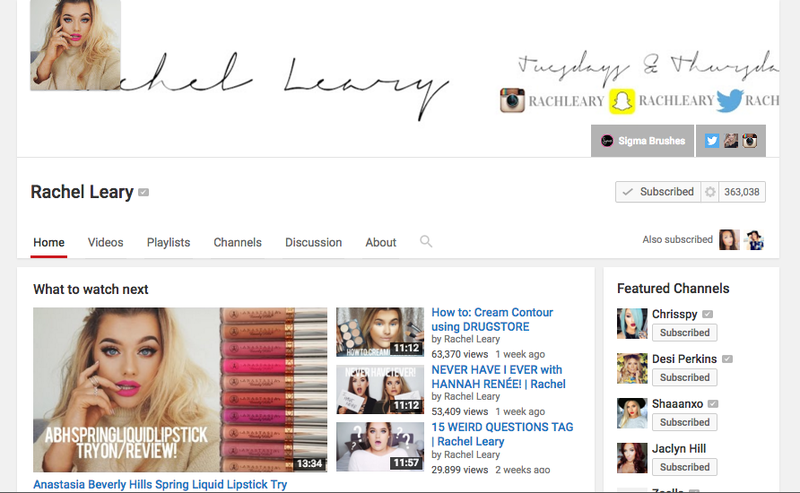 I've whittled down my list of the top 10 beauty YouTubers that, in my humble opinion, you need to check out as they will become your favourites as they are mine. Some you might already know, and others might be a new discovery for you. Either way, I wanted to share the beauties with larger followings, as well as the beauties with smaller followings as you might not have had the luck to find them yet. Roxi is one of the most lovely girls I have had the pleasure of meeting, her personality is exactly what you see on YouTube. She's soft spoken and friendly, and is beautiful! She makes beauty videos, hacks, DIY's and so much more. I was lucky enough to meet Sabrina at IMATS in 2015, and thought she was lovely from the second I met her. 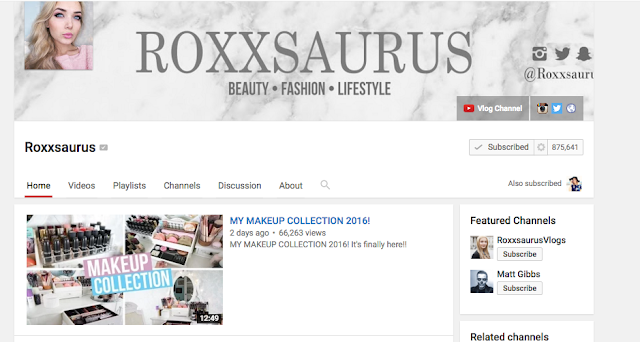 Sabrina is another youtuber who is exactly the same as who you watch, and she instantly makes you feel like her best friend! 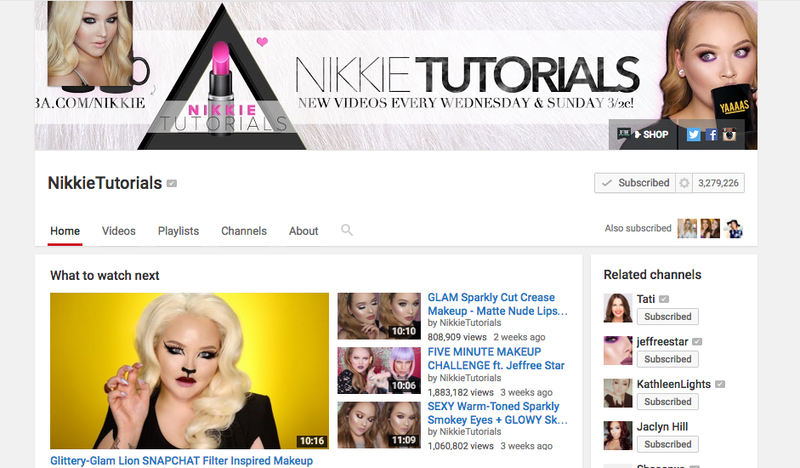 Sabrina's videos focus on beauty, and are edited so professionally. Rosi, Rosi, Rosi, where do I start with this beauty?! We started chatting a little while back and developed a friendship so quickly, not only is she stunning but I'm proud to call her one of my best friends. Rosi makes beauty videos and is the real deal whether she's talking about drugstore or high end! Holly has the most gorgeous hair, of course she is so much more than that, the time that I've spent with Holly has made me feel like I can call her a friend. A friend with skillzzz nonetheless, her makeup looks are killer, and look even more incredible in person. Whenever I make a trip to London for an event, I always have a lovely time with Holly! Make sure you check out her channel! SLAY! That should be Nikkie's motto, her videos never fail to amaze me. Her skills are incredible and I definitely look up to her in the makeup world. SLAYYYY! 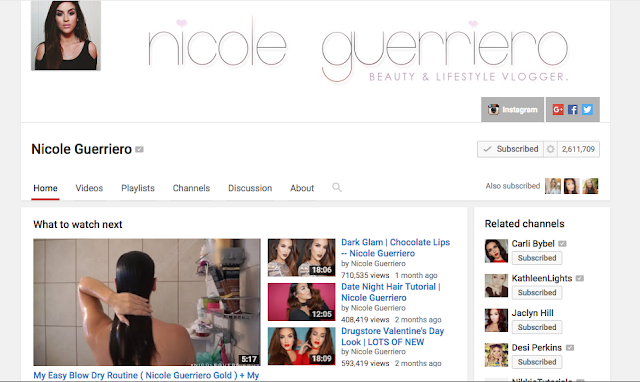 Whenever I see one of Nicoles videos in my subscription box I have to click on it, that's how you know someone is a good YouTuber. 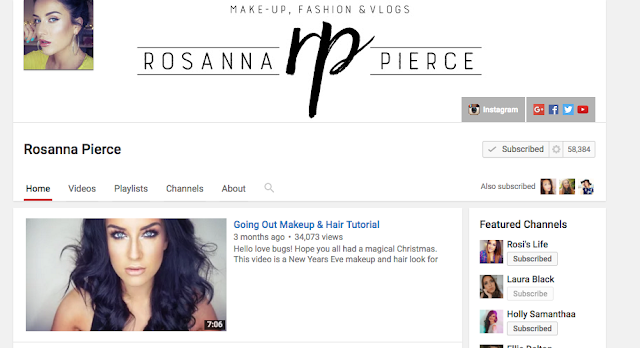 Her videos are edited to perfection, and her personality absolutely shines through. I haven't had the opportunity to meet Nicole but feel like we would get on like a house on fire. 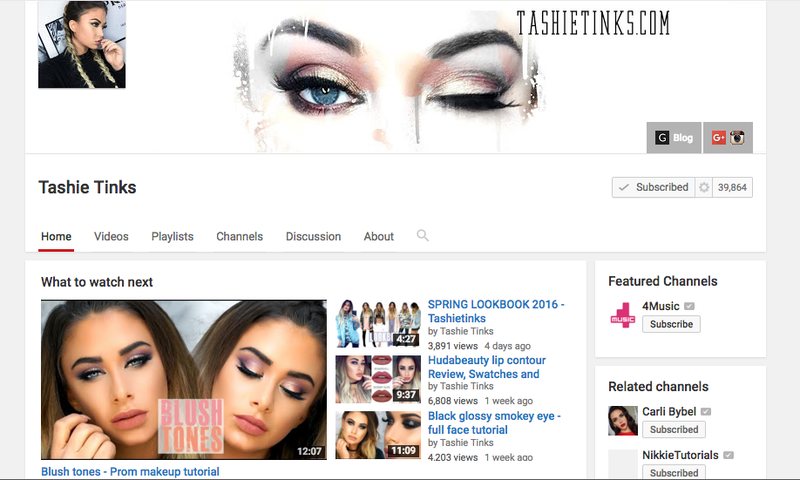 The first thing that drew me to Tash's channel was the contrast of her hair/skintone and her eyes, they really pop. 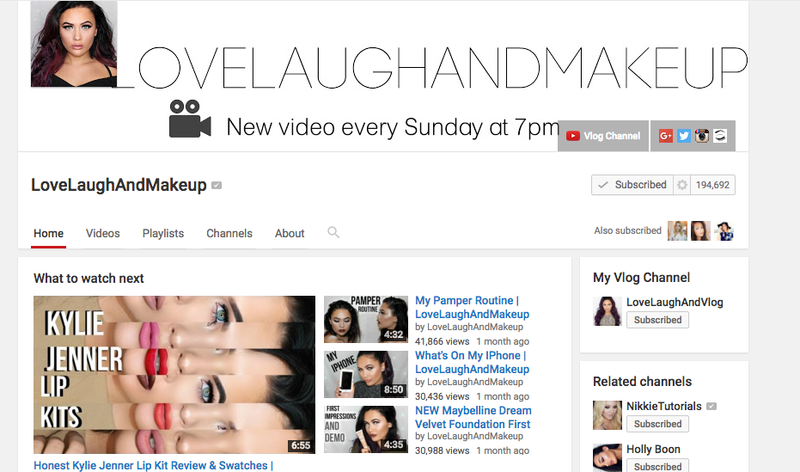 Once I was on her channel her tutorials kept me there, she has skills that really teach you how to achieve the look that she's creating. Rachel is a British bombshell, and her skin is FLAWLESS! 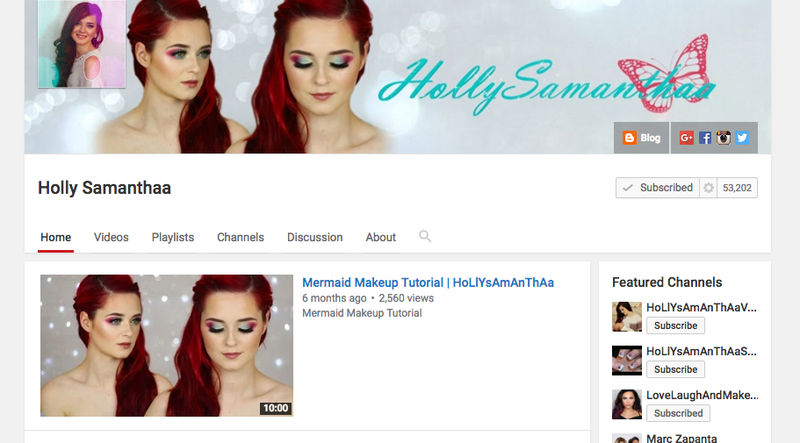 Once you start watching her makeup tutorials, you won't be able to stop. They are incredible looks that will make you want to buy all of the products she's using - I should know I've done it haha! 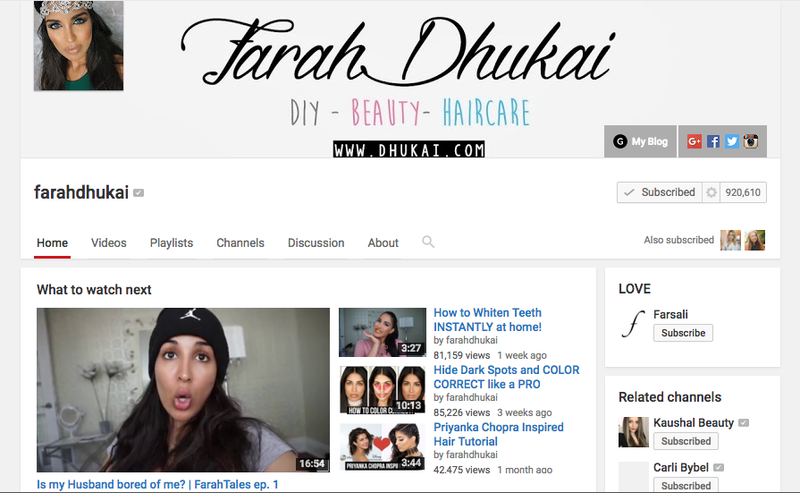 There is just something about Farah's videos - her makeup looks are simply stunning! 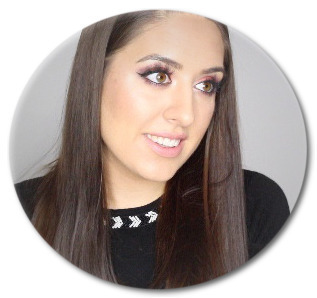 She has lots of tips and tricks to help you achieve a gorgeous skin tone, and brings DIY's for everything you could imagine. 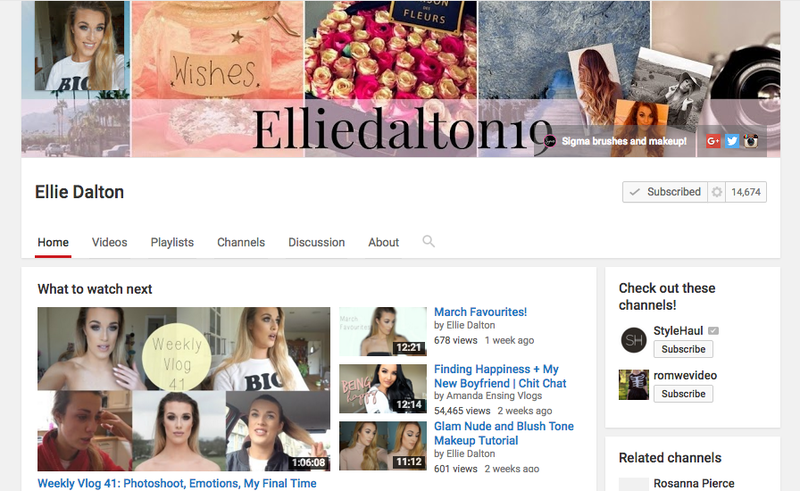 Ellie Dalton is a beautiful YouTuber, she makes tutorials and weekly vlogs that keep you hooked, even when they are 48 minutes long ;) her flawless skin will make you envious but her down to earth personality will make you feel like you know her completely. Ellie is hilarious, she will always have you laughing especially if you meet her in person! Let me know some of your favourite YouTubers in the comments below, I'd love to check them out!